Chance the Rapper is apologizing for defending Kanye West's embrace of President Trump. West made headlines on Wednesday when he posted a picture of himself in a "Make America Great Again" hat that had been signed by Mr. Trump. West had previously said that he would have voted for Mr. Trump in the 2016 election and earlier this week praised Candace Owens, a black conservative pundit. Conservatives were largely approving of West's tweets while many of his left-leaning fans were dismayed. But he did get some backup from his wife Kim Kardashian and Chance, a sometime collaborator, who both insisted that West is in a fine mental state. Chance also seemed to endorse West's pro-Trump stance by tweeting, "Black people don't have to be democrats." The tweet then caught the attention of Mr. Trump, who thanked Chance and West on Twitter Friday morning. Chance, however, said the president had misinterpreted him, responding "Nah that aint it yo." He then tweeted out screenshots of a longer statement under the heading "My fault yo." "Anyone who knows me knows how passionate I am about my city and my loved ones. 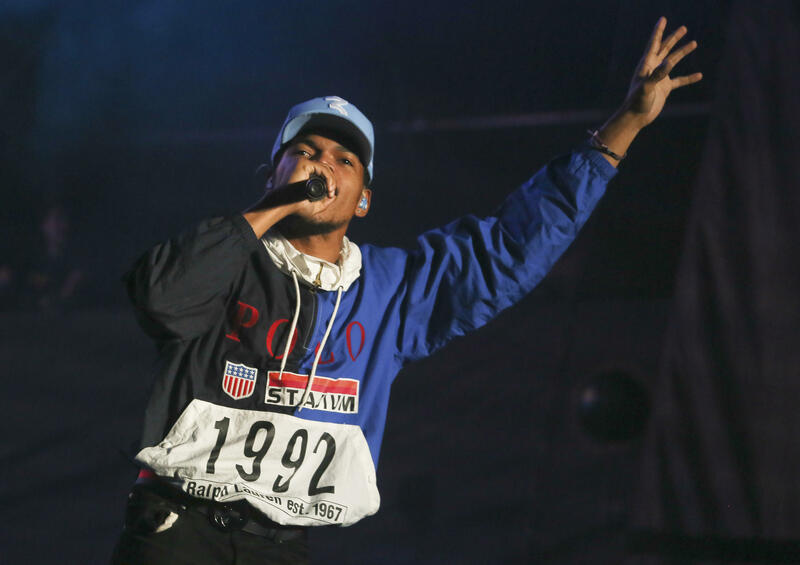 Kanye West is not just a mentor or big homie to me," Chance said in the statement. "He's my family. No matter how much I may disagree with him, it's hard for me to watch people talk about someone I love-even if they were justified in doing so." The "No Problem" singer then clarified that he did not "speak up because I agree with what Kanye had to say" or that he supports Mr. Trump. He also said he was upset that his comments are "being used to discredit my brothers and sisters in the movement" and that he "can't stand by and let that happen either." "I'd never support anyone who has made a career out of hatred, racism and discrimination," Chance wrote in an apparent reference to Mr. Trump. "I'd never support someone who'd talk about Chicago as if it's hell on earth and then take steps to make life harder here for the most disenfranchised among us." Chance the rapper also addressed his comment about black people not needing to be Democrats, saying while the statement is true, it was also "a deflection from the real conversation and stemmed from a personal issue with the fact that Chicago has had generations of democratic officials with no investment or regard for black schools, neighborhood or black lives." "But again, I said that s**t at the wrongest time," he added. Chance also said that while West is his "brother-in-Christ" and a person who "does really want to do what is right, it's not my job to defend and protect him. It's my job to pick up the phone and talk to him about it."